Tech Mahindra has announced a strategic collaboration with i2Chain Inc, a San Francisco-based startup, leveraging next gen technologies to secure customer information and data assets. Through this..
Software major Tech Mahindra on Thursday signed a Memorandum of Understanding (MoU) with the University of Nebraska at Omaha (UNO) to train, support academic research and create solutions leveraging..
As a step forward in its mission to transform into a digital organisation with a future-ready workforce, Tech Mahindra has reskilled and upskilled nearly 70 per cent of its IT workforce in digital and.. IT major Tech Mahindra has acquired Osaka-based K-Vision which is primarily engaged in providing network services for mobile communication carriers in Japan. *Tech Mahindra Ltd.*, a leading provider of digital transformation, consulting and business reengineering services and solutions, announced netOps.ai, its Network Automation and Managed Services.. Cash-laden Indian IT firms have been returning surplus cash to shareholders by way of dividends and buybacks. The board of Tech Mahindra has approved a proposal for buyback of up to 2.05 crore equity..
Indian shares rose for a fifth straight session on Wednesday, with Tech Mahindra Ltd leading gains in IT stocks, while investors also await the outcome of a three-day central bank policy meeting that..
*Mr. CP Gurnani* *MD & CEO, Tech Mahindra * “With digital and renewable energy at its core, Budget 2019 is reflective of India’s commitment to foster the growth of an inclusive,.. According to Gartner estimates, India's IT spending will grow by 6.7 percent in 2019 to $89 billion. Tech Mahindra, ONGC, Zee Entertainment, Infosys and Reliance may continue to lead as they are showing the innate character of a leader in this upswing. 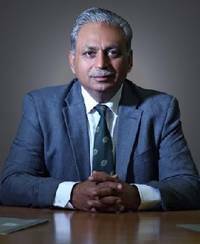 Software major Tech Mahindra on Tuesday announced key leadership appointments in India to accelerate its digital transformation. *Tech Mahindra Ltd.* a leading provider of digital transformation, consulting and business re-engineering services and solutions, today launched the first Artificial Intelligence (AI) based,.. IT company Tech Mahindra Tuesday said it has bagged Rs 270 crore project from Coal India to deploy modern technologies in the state-owned company. Among the top gainers were Infosys, Yes Bank, Sun Pharma, Dr Reddy's Laboratories, and Tech Mahindra. Indian markets rose marginally on Thursday in thin trading, helped by a recovery from previous session in IT stocks such as Tech Mahindra Ltd and HCL Technologies Ltd, while some stability in broader..
Fifth biggest domestic tech company Tech Mahindra is looking at upcoming 5G rollouts in global markets as a big opportunity and is on the right trajectory in its communications vertical to achieve.. The Nifty plunged for the second straight week and ended lower by 2.65% at 10030, the lowest level in the seven months on the back of continuous foreign institutional investors (FII) selling, weak.. Standing up for India Inc, Prime Minister Narendra Modi Wednesday said he does not believe in the culture of criticising industry and corporates who he believes are doing exemplary social work.. Under the partnership, Tech Mahindra plans to develop internal capability to handle cyber security solution and further train people to grow business. The harassment and bullying began some three months after he joined Tech Mahindra on April 15, 2013. Inside its closed board rooms, Gautam would call sexual and religious minorities by despicable..
Tech Mahindra had said it would conduct a thorough probe after a former employee, just days after the Supreme Court decriminalising homosexuality, alleged harassment and discrimination by his then team.. Discrimination against gay employees can get a boss fired. Tech Mahindra sacked its training lead Richa Gautam after former employee Gaurav Probir Pramanik revealed on social media that Gautam, his..